Editing photos on the desktop is easy as pie, thanks to great applications like GIMP and Photoshop. But what if you've just taken a snap on your beloved Android device and want to edit it on the go? Don't worry; it's not entirely impossible. 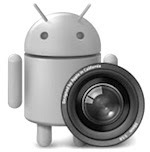 Thanks to the openness of Android platform, dozens of apps have sprung up that let you edit your photos on the go. Now, editing on the phone is not the same as editing on the desktop, so don't expect GIMP-like awesomeness from these apps. Having said that, these apps do suffice the photo-editing needs of almost all the phone users by adding essential effects which are both simple to apply and easy to learn. So, if you want to add some cool effects to your recently snapped holiday photos, read on as we cover the top 5 photo editors for Android. 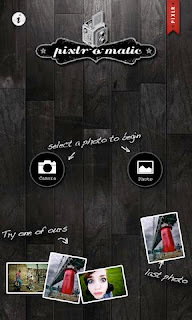 Pixlr-o-matic is an immensely popular free photo-editing application that is developed by Autodesk. Yes, it's the same company that makes the famous AUTOCAD software. Packed with a number of cool effects, Pixlr-o-matic allows you to add layers, lightings and borders to your photos in 3 simple steps. You can also add color filters that help you adjust the mood of the photograph. For example, you can amplify the tone, cool it down or add a surreal shades in an instant. Other effects include the vintage look (Instagram-style), the drama look, and the sparkle effect. Another great thing about this application is that it doesn't need a camera. You can simply pick a snap from the gallery and start editing right away. You can then share your masterpiece with your friends and family on Facebook or immo.io right from the app. What's more, you can also export your photo in high resolution to your gallery. PicSay Pro is an award-winning photo editor for Android that comes with a slew of cool effects like Vignette, Lomo, faux HDR, Pencil Sketch and more. Apart from adding effects, you can also sharpen the image, remove red eye, crop, distort and even insert cutouts. One of the few photo-editing apps with tablets support, PicSay Pro has 4.5 out of 5 stars on the Android Marketplace. The app includes support for Android tablets with Honeycomb like the Motorola Xoom, Samsung Galaxy Tab, Asus Eee Pad Transformer, and others. 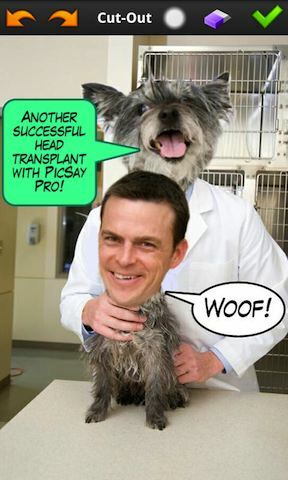 Priced at around $4, PicSay Pro is available for download from the marketplace. Voted as the Editor's choice on Lifehacker, Gizmodo and Slashgear, Camera Zoom FX is an award-winning camera replacement app for Android. Though not a photo editor in the traditional sense, it comes loaded with a bunch of cool post-processing effects that give it an edge over many other photo-editors out there. 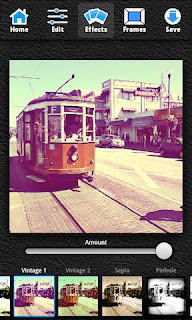 Camera Zoom FX supports a lot of cool effects like vintage, funky, pencil, fish-eye, mosaic, mirror FX and tilt-shift. 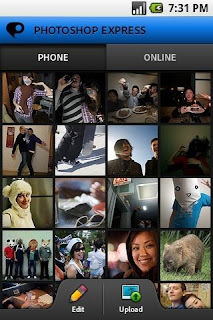 You can also crop a picture to any size and make a collage. And, if that doesn't whet your editing appetite, Camera Zoom FX also lets you do digital compositing ( http://en.wikipedia.org/wiki/Digital_compositing ), à la Photoshop. Priced at around $5, Camera Zoom FX doubles up as a camera replacement as well as a full-featured Photo editor for Android. As the name suggests, BeFunky lets you add some funky effects to your photos, free of charge. You can edit photos, add frames, and then export them back to your gallery in real simple steps. With more than 20 effects in the free version, the app lets you add effects like LomoArt, Cross Process, HDR, Tilt Shift and more without any limitations. Besides adding effects, you can also crop and rotate your photos on the go. Finally, once you are done creating your masterpiece, you can save it to Facebook, Flickr or BeFunky online right from the app. There is also a PRO version of the app that includes more effects (50 to be exact) and comes at a price tag of $1.99. 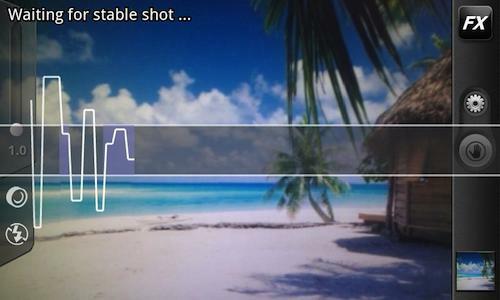 When it comes to Photo editing, there's no name more popular than Adobe's Photoshop. Though it may not bring as many features as its flagship desktop application, Photoshop Express does a pretty good job at editing and sharing photos. You can crop, adjust color, and add artistic effects to your photos with just a few clicks and save them to your gallery. You can also upload the retouched photos to your Photoshop.com account as a back up. With more than 5 million installs so far, Photoshop Express is freely available for download from the Android Marketplace.